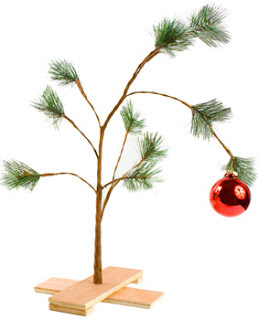 It's a time for giving and what better way than to give the skimpy Christmas tree from 'A Charlie Brown Christmas' a loving home! Ideal for small condos, and those with a limited decorating budget. See -- no need for fancy ornaments!